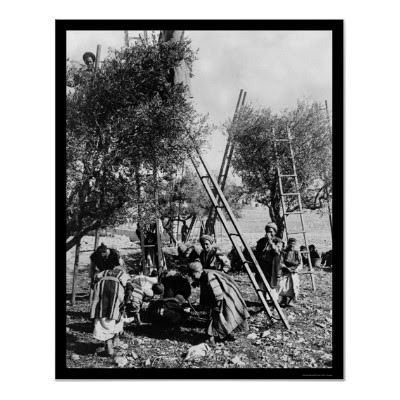 The annual olive harvest in Palestine used to be a season of joy and festivities. Whole families, including elders and toddlers would gather in the groves and help bring in the crops, eat breakfast together in the shade of the trees, and listen to stories and jokes. In the evenings they would bring the harvest back to the villages and directly to the olive press, watching it being processed into oil. The gleaming green and spicy taste of the first bit of freshly pressed oil would be a source of pride and celebration. Finally, the end of the season would be celebrated with regional festivals, with food, dance and music. Not all of this is history, yet much has changed in Palestine, especially during the past decade, which saw an increase in settlement building activities, the construction of the Separation Barrier, and the increasingly violent attitude of settlers. And still, according to the United Nations Office for the Coordination of Humanitarian Affairs (OCHA) 48% of the agricultural land in both Gaza and the West Bank is planted with olive trees. The olive oil industry makes up 14% of the agricultural income for both regions and supports the livelihoods of approximately 80,000 Palestinian families. For some farmers, the harvest constitutes between 25 to 50% of their annual income. From 1967 onwards the construction of settlements, outposts and settlement infrastructure led to the confiscation of hundreds of thousands of dunams of Palestinian land. During the same process more than a million olive trees were uprooted or could no longer be reached by their Palestinian owners. 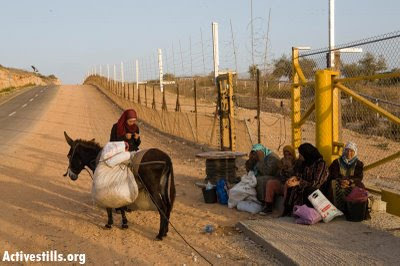 The construction of the Separation Barrier, much of which was built on seized Palestinian land, or between Palestinians and their land, further exacerbated this situation. According to the UN the Wall effectively annexed 9,5% of the total area of the West Bank to the Israeli side. Farmers who own land on the other side of the Wall have to apply to the Israeli authorities for permits to access their groves through one out of 73 barrier gates. Most of those gates are only open during the harvest season and also then only for limited hours. Throughout the rest of the year the farmers therefore cannot perform the necessary maintenance tasks such as ploughing, pruning and fertilising, which obviously has negative effects on the quality and the quantity of the yield. In addition, the UN also states that annually thousands of farmers are denied the permits to access their groves behind the Wall. In 2011 only 58% of the applicants were granted a permit. In recent years there has been an increasing trend of settlers purposefully damaging or destroying olive trees before the beginning of the harvest. In many cases trees were uprooted, poisoned or burned down, in others settlers harvested the olives or simply stole the crops from the farmers. Between January and October 2012 alone, the UN estimates that 7,500 trees were harmed or destroyed. Due to an increase of physical attacks of Palestinians through settlers, the Israeli army started employing a system which is supposed to protect the farmers, but which effectively limits their access to the lands closely located to settlements. The farmers are thus only allowed to access their lands during a designated time of usually only a few days, during which soldiers are deployed in the specific area. While this has led to a decrease in violent attacks on the farmers, it could not prevent settlers from destroying the trees. Unsurprisingly, settlers are rarely prosecuted, neither for physical attacks against Palestinians, nor for the destruction of Palestinian property. According to the Israeli human rights organisation Yesh Din, only one out of 162 complaints regarding settlers damaging olive trees has so far led to an indictment of a suspect. Notwithstanding all these obstacles, the olive harvest remains a key economic, social and cultural event for Palestinians. 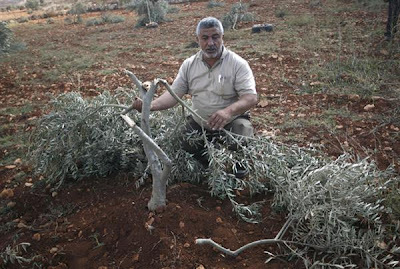 In a way the occupation has even strengthened the connection between the Palestinian people and their trees, and the annual harvest is seen by many as an act of defiance and a symbol of “summoud”, the Arabic term for steadfastness. For the first time this year Green Olive Tours is organising a special programme, offering you the opportunity to participate in the annual olive harvest. There is hardly a better way to gain insights into Palestinian culture and life than to work side by side with the farmers on their land. For more information see here.